Posted by OromianEconomist in Aid to Africa, Uncategorized. Is the T-TPLF next on Tillerson’s agenda? The Dawn of a New Era in U.S. Human Rights Policy in Africa: Is Ethiopia Next? “… We express America’s values from the State Department. We represent the American people. We represent America’s values, our commitment to freedom, our commitment to equal treatment of people the world over, and that message has never changed… I don’t believe anyone doubts the American people’s values or the commitment of the American Government or the government’s agencies to advancing those values and defending those values…. I’ve made my own comments as to our values as well in a speech I gave to the State Department this past week…. The President speaks for himself [regarding] his values.” U.S. Secretary of State Rex Tillerson, August 27, 2017. “… Nowhere is [hate speech] an American value. We do honor, protect, and defend freedom of speech, First Amendment rights. It’s what sets us apart from every other government regime in the world, in allowing people a right to expression. These are good things. But we do not honor, nor do we promote or accept hate speech in any form. And those who embrace it poison our public discourse and they damage the very country that they claim to love. So we condemn racism, bigotry in all its forms. Racism is evil; it is antithetical to America’s values. It’s antithetical to the American idea.” U.S. Secretary of State Rex Tillerson, August 18, 2017. Lo and behold, U.S. Secretary of State Rex Tillerson last week just did that! These words are music to my ears. I have been a voice in the wilderness preaching every Monday for over a decade that U.S. aid must be linked to human rights improvements in Africa, particularly Ethiopia. Obama turned a deaf ear to my pleas to align American aid with American values. He lip-synced my song of human rights to his empty lyrics of the “right side of history” while wining and dining those African dictators on the wrong side of history at the White House. President Donald Trump likes to talk about “fake news” propagated in the U.S. by the “establishment” media. Is there such a thing as “fake diplomacy”? Since 9/11, the U.S. has conducted fake diplomacy in Africa in the name of counterterrorism and national security. The Obama and Bush administrations embraced and coddled the most ruthless African dictators who not only massacred, jailed and tortured their citizens but also engaged in widespread waste, fraud and abuse of U.S. aid. Barack Obama displayed shameless pandering to African dictators when he declared the Thugtatorship of the Tigrean People’s Liberation Front (T-TPLF) “democratically elected” even though the T-TPLF “won” one hundred percent of the seats in “parliament”. By his statement, Obama effectively gave a green light to all of Africa’s dictators to steal elections in broad daylight by 100 percent and guaranteed them full support of the U.S.
Is Trump pulling the curtain on Obama’s fake diplomacy of coddling African dictators and thugtators in the name of counterterrorism and national security? The scaremongering foreign policy experts, professionals, consultants drinking at the U.S. aid trough along with the has-been diplomats have been predicting the sky will fall on Africa under the Trump Administration. They condemned Trump for his ignorance and for ignoring Africa. They said Trump will flip-flop in his Africa policy and cut back on aid causing millions of Africans to die. I was one of the doubting Thomases who made audacious claims that Trump will continue in Obama’s footsteps and ignore human rights in Africa. I was simply resigned to the fact that there will be no policy change under Trump. I even said half-jokingly that I would “eat crow” if the Trump administration made any changes to Obama’s “see no evil, say no evil and hear no evil” about African dictators policy. I began seriously thinking about eating crow (vegan style, of course) with a side of humble pie after I pondered over the questionnaire the Trump’s transition team presented to the State Department. Truth be told, I was stunned by the four questions because those were the same exact questions I have been asking week after week for 11 years. I could not get over the irony of the twist of fate. The man I opposed so vigorously as a presidential candidate was asking the same questions I have been asking about Africa for over a decade. I must confess that some have complained to me privately that I stick out like a sore thumb writing approvingly of Trump’s Africa policy. Truth be told, some privately wondered if I had lost my marbles in suggesting that human rights issues will likely figure prominently in the Trump administration. Others snickered. As I have previously noted, I do not care about the motives of those in power when they do the right thing. I rarely question when the right thing is done for the wrong reason. It is never too late to do the right thing; but there is never a right time to do the wrong thing. The Trump administration is doing the right thing by insisting on human rights improvements as a condition for receiving U.S. aid. What could possibly be wrong with that? But I remained steadfast in my claim of a likely new day for human rights in Africa in the Trump administration. No human rights, no U.S. aid? : Should “America First” mean “human rights first” in Africa? “May you live in interesting times,” goes the old saying. No time in living memory has been as “interesting” as living in America today. Of course, the operative word is “interesting”. Does it mean amusing? Fascinating? Dangerous? Uncertain? Unpredictable? Desperate? Under the leadership of President el-Sisi, the Egyptian government has systematically cracked down on civil society groups and independent media, jailed tens of thousands of political prisoners, and used violence and intimidation against individuals critical of the government. Now that the first shoe on human rights has dropped on Egypt, is Ethiopia next? For years, I have been urging the Obama administration to guide U.S. Africa policy by cherished American values. Obama shamelessly scorned American values when he declared a dictatorial regime in Africa that claimed to have won 100 percent of the seats in parliament, “democratically elected”. We hang on to our values, even if they seem at times tarnished and worn; even if, as a nation and in our own lives, we have betrayed them more often that we care to remember. What else is there to guide us?… [Our values] have proven to be both surprisingly durable and surprisingly constant across classes, and races, and faiths, and generations. We can make claims on their behalf, so long as we understand that our values must be tested against fact and experience, so long as we recall that they demand deeds and not just words. What are America’s values? Equality? Individual liberty? Privacy from unreasonable government intrusion? Rule of law? Free enterprise? Constitutional supremacy? Popular sovereignty? Open society? Volunteerism? Competitiveness on a level playing field? Is stealing elections an American value? Is stealing American taxpayer provided aid an American value? Is massacring, jailing and torturing innocent citizens an American value? Should American taxpayers support gross violations of human rights in the name of counterterrorism? For all the incredible things that are happening here in Ethiopia… there is still a perception, sir, that human rights abuses are tolerated here…? That democratically elected government “won” 100 percent of the seats in “parliament”. U.S. Under Secretary of State Wendy Sherman excused the human rights abuses of the T-TPLF by declaring it a “young democracy”. The Washington Post condemned Sherman for her make-believe statements. Gail Smith, USAID Administrator, completely exonerated the ruling regime from responsibility when she claimed famine and starvation in Ethiopia is solely attributable to “drought”. Smith used to be a TPLF employee in the early 1980s. Smith did a great “inside job” for the T-TPLF for decades. Elections in Ethiopia were a laughing matter for Rice. A lying matter for Obama. A semantic game for Gail Smith and Wendy Sherman. Human rights made for interesting cocktail hour chit-chat for Obama, Rice, Smith and Sherman. While I take no credit whatsoever for the apparently breathtaking changes in U.S. Africa policy as evidenced with Egypt, “the world’s second largest recipient of U.S. aid at about $1.3 billion annually”, I am supremely gratified to know that so many issues I have been passionately writing and lecturing about week after week for nearly 11 years are now resonating deeply and catching the attention of the Trump Administration. As I tried to peer into the future through Secretary Tillerson’s speech, it became clear to me that Tillerson was sending a message to the old guard of Chicken Littles at the State Department, their parasitical consultants and experts who drink at the trough of U.S. aid and African dictators that their days of ripping of the American taxpayer are numbered. That did not stop them from issuing their magisterial proclamation: Trump’s “America First”-driven foreign policy will mean the end of times in Africa. But they were only talking about their own end. They knew a change was gonna come despite the millions of dollars they diverted from famine relief to lobbying in Washington, D.C.
Tillerson’s speech foretold what he was planning to do in the area of human rights within the framework of the “America first” creed. “Translated” in practical terms, Tillerson said “America first” means three things. First, The U.S. will “enforce the protection of our freedoms with a strong military”, and America’s military allies must carry their own weight and will not get an easy ride on the backs of American taxpayers. Second, U.S. trade and economic relations with the rest of the world, particularly China, must be “brought back into balance”. This could require renegotiation of trade deals which give undue advantage to other countries. Third, U.S. foreign policy will be propelled by “our fundamental values: our values around freedom, human dignity, and the way people are treated.” Tillerson emphatically asserted, “policies change, our values never change.” Those who do not like or share our values should not come to the U.S. with cupped hands and panhandles for handouts. In a speech of 6511 words, Tillerson devoted a stunning 1,057 words talking about American values and their role in the future of American foreign policy. He offered a realistic answer. If “we condition our national security efforts on someone adopting our values, we probably can’t achieve our national security goals or our national security interests. If we condition too heavily that others must adopt this value that we’ve come to over a long history of our own, it really creates obstacles to our ability to advance our national security interests, our economic interests.” He insisted, “we should and do condition our policy engagements on people adopting certain actions as to how they treat people” and act consistent with our values. In developing an “overarching strategic approach” for the “execution” of foreign policy, Tillerson said the salient question will be, “where are our allies?” The U.S. will determine its allies and partners on a county-by-country and region-by-region basis and their willingness to share in American values. When Obama visited Ethiopia in July 2015, he became the T-TPLF’s head cheerleader. So we discussed steps that Ethiopia can take to show progress on promoting good governance, protecting human rights, fundamental freedoms, and strengthening democracy. And this is an area where we intend to deepen our conversations and consultation, because we strongly believe in Ethiopia’s promise and its people. For the T-TPLF, 26 years in power is more than enough time to make changes. But the T-TPLF, instead of making changes, imposed a “state of emergency decree” and jailed and massacred thousands of citizens without due process of law. Tillerson mentioned Africa 15 times in his speech. U.S. policy in Africa in the Obama administration “really boils down to” effective counterterrorism actions to defeat ISIS and depriving it a haven in Africa. The question for the Trump Administration is, “How do we develop policies and bring regional players together to address these threats of ISIS and counterterrorism?” How can the U.S. stop the cancerous terrorist networks from spreading in Africa? The withholding of aid to Egypt clearly shows that the Trump administration does not see counterterrorism and human rights as mutually exclusive. Indeed, they view them as mutually reinforcing. Denial of human rights is often the fountainhead of terrorism. That is what “America First” means to me too: Freedom, human dignity and fair and equal treatment for all people. “What is good for the goose is good for the gander,” goes the old saying. 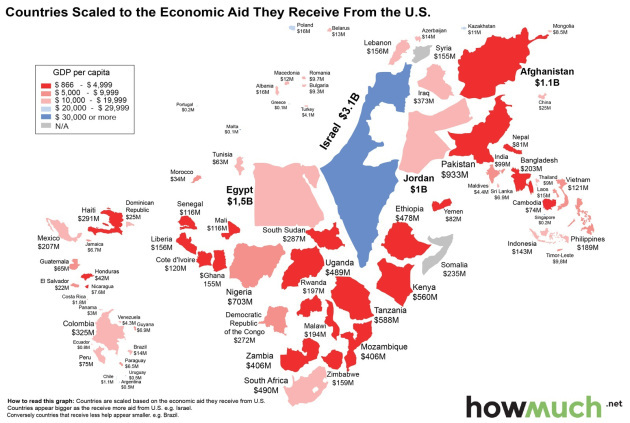 If the U.S. can tell Egypt, “the world’s second largest recipient of U.S. aid” to clean up its human rights act or no aid, it can certainly tell Ethiopia, the “second largest recipient of U.S. aid in Africa” to do the same. No doubt, what the Trump administration did in Egypt will reverberate throughout Africa and represent a teachable moment for African dictators. Today, African dictators should be on notice that the Trump administration is serious about human rights in Africa and will put its aid money where its mouth is. I could say the same thing about Ethiopia! Take Barack Obama, for instance. Obama ain’t no friend of Ethiopians. No doubt, he is a bosom friend of the TPLF thugs. By the same token, Donald Trump who has said and done nothing to harm Ethiopia is no enemy of Ethiopia, or Africa. We should be careful not to conflate unrelated issues. I believe the Trump administration’s policy of linking U.S. aid to human rights improvements is absolutely the right policy. The administration’s questions about U.S. aid accountability and corruption, use of counterterrorism cooperation as a meal ticket for dictatorial African regimes, bogus trade deals and the double standard benefiting Chinese businesses are absolutely on point. The T-TPLF will no longer be allowed to milk (bleed) the American taxpayer cash cow. For eleven years, the T-TPLF and the African Union have bled American taxpayers of hundreds of millions of dollars in the name of fighting Al-Shabab in Somalia. At its peak, Al Shabab was estimated to have a ragtag army of 7-9000 poorly-equipped and –trained fighters. The number of African Union Mission in Somalia (AMISOM) uniformed personnel is 22, 126. Ethiopia reportedly had some 60 thousand troops at one time in Somalia. Both the AMISOM and Ethiopian forces brimming with modern heavy weapons have been unable to defeat a ragtag group of terrorists. The answer is simple. Al-Shabab is a meal ticket for the African Union and the regime in Ethiopia. Both the African Union and the regime in Ethiopia want to keep the war against Al-Shabab going because that way they can milk the American taxpayer year after year. Counterterrorism is a very profitable business of the AU and the regime in Ethiopia. The T-TPLF bosses and lackeys only have one choice. Pack up and leave and enjoy the blood money they have bled from the poor people of Ethiopia and American taxpayers. I wish them all the happy and pleasant life of junta leader Mengistu Hailemariam. Let’s be fair. Let’s give credit where it’s due. Kudos to Tillerson! The Trump administration did the right thing in withholding U.S. aid to Egypt over the deteriorating human rights situation in that country. This unprecedented policy is a far cry from Obama’s double standard where human rights violators who grossly violate human rights but pledge partnership on counterterrorism are given a free pass, get-out-of-jail card, and others who are simply defiant are condemned. A case in point is what Obama did days before he left office in January. Obama extended sanctions on Zimbabwe, whose senile president remains in office in his 90s. With the same pen, Obama lifted a 25-year sanction on Sudan whose president is a fugitive from justice at the International Criminal Court in The Hague. Measured against Obama’s hypocritical and duplicitous double-standard, doesn’t the Trump administration deserve some, I say a boatload, of credit for what it has done in Egypt and for the notice it sends to Africa’s panhandling criminal dictators? So far, I like what I see and hear about Trump’s human rights policy in Africa. What could be more fair than that?! Oyez, oyez, oyez, African dictators! 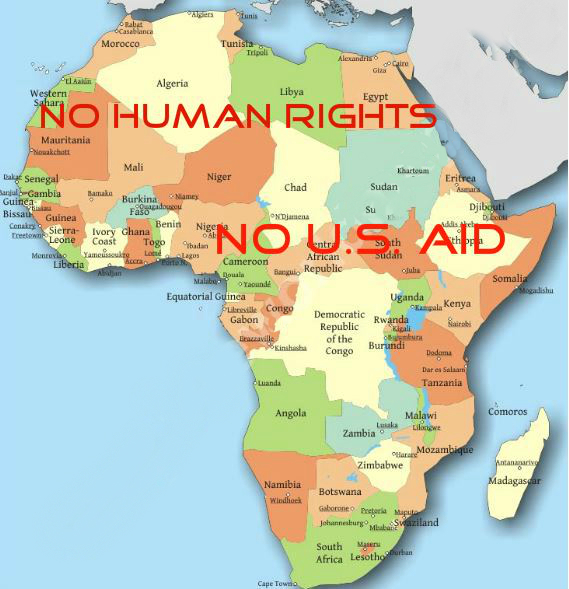 No human rights, no U.S. aid. Stop terrorizing your people in the name of counterterrorism! Human rights made America great. “America First” means human rights first in Africa! The World Bank accepted a rap on the knuckles for the massive flaws in the PBS programme but did not cancel it. DfID re-routed funds to other programmes in Ethiopia, the aid flowed to the authoritarian regime as before. In late 2015 and early 2016, famine threatened. No one asked the obvious question: how much has Ethiopia’s brutal, donor funded, economic experiment contributed to the collapse in livelihoods? Of all the academic economists working on Ethiopia, I could not find one who was willing to speak on the record for this article. Much of the professional field of development studies is dependent on DfID research grants, with many academics serving on multimillion-pound study teams. “If you challenge the consensus and make headlines, it is going to make your life harder,” said one economist at a London university, speaking on condition of anonymity. Evaluations of PBS relied on figures supplied by the Ethiopian government; there were huge, unexamined risks of corruption in funnelling the money through the Ethiopian treasury, and the metrics used to measure success were simply the things purchased by the programme, such as schools built, wells dug, pupils enrolled or teachers hired. The donors had, in fact, no way of measuring whether those things actually benefitted the populations concerned. Development in Ethiopia’s capital city. But at what cost? Most more economically developed countries give aid to those that are less developed and this is almost always seen as a positive thing. However there have been cases when the aid provided has done more harm than good. This article looks at the situation in Ethiopia. This country has been a major recipient of western aid since the 1980s and much of it seems to have been successful in helping the country to develop and to fend off the worst of the famines that ravaged the country in the past. Currently though the development drive in Ethiopia has been implicated in forcing people off their land and in to less fertile areas. It is a long read but full of information that could really develop your essay writing. 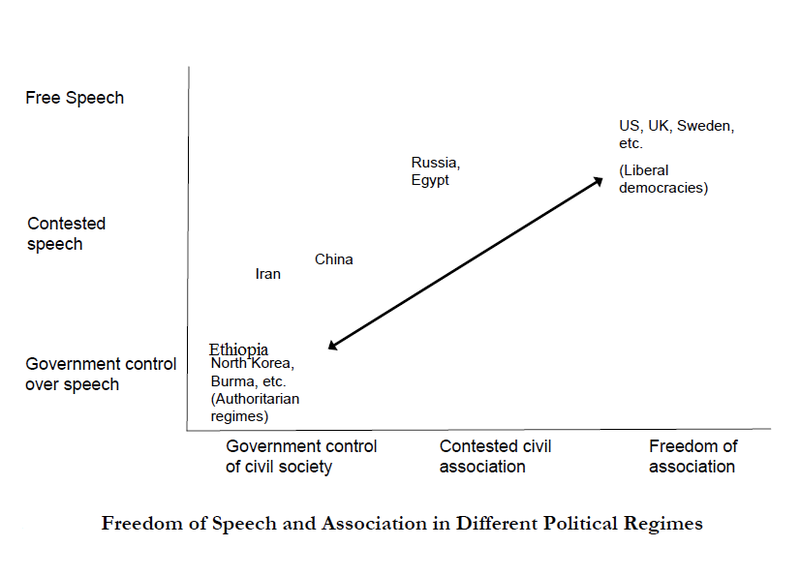 Posted by OromianEconomist in Aid to Africa, Free development vs authoritarian model, World Bank. In Ethiopia, the World Bank helps fund a program that provides food and cash to people who work on public infrastructure projects. It’s a popular program and many people need the work. But a poor farmer said that when he went to sign up for the program he was turned away. “This doesn’t concern you,” the program coordinator told him. Three other farmers said they registered and did the work, only to see their names taken off the distribution list to receive the promised two sacks of wheat and 400-500 Birr (US $35-$44). All four were members of Ethiopia’s opposition party. “There is not a single opposition person in the safety net program with me,” a member of the ruling party who took part in the program admitted. What should the World Bank do in situations like this — where it funds badly needed assistance to poor communities only to see those programs used as an instrument of political repression? The bank’s answer is, not much. Situations like this appear not to violate the World Bank’s social safeguard policies, which borrowing countries are required to follow for World Bank-financed projects. But those “safeguards” don’t specifically require bank projects to respect human rights at all–an inexcusable omission. Now the bank is carrying out a supposedly comprehensive overhaul of its safeguard policies but without addressing this problem. Last Tuesday, it released a long-awaited second draft of its proposed changes. The bank had promised that the new safeguards will be “clearer [and] stronger” than its current policies, in support of the bank’s recently adopted twin goals to end extreme poverty and promote shared prosperity. But the revised draft still doesn’t recognize that those goals can’t be met without demanding respect for fundamental human rights. Instead, it treats human rights as aspirational values that the bank may selectively promote, rather than as a set of obligations with which its borrowers must comply. As the bank rightly pointed out when adopting its twin goals, even as economic development has raised average income growth, the poorest 40 percent of the population have seen little improvement, and “the world should pay particular attention to those who are less fortunate.” But World Bank projects have harmed these same communities in country after country, as we and others have documented, threatening their land tenure, damaging resources they depend on, or forcing them to resettle in inferior locations. We have also documented cases around the world of people who speak out against these problems being harassed or even arrested. The bank has policies requiring vulnerable people to be consulted in carrying out its projects, but none require the bank to take responsibility for preventing, investigating, and remedying attacks on people who dare to speak their mind or even the people who file complaints with the bank’s own independent accountability mechanisms. Where safeguard policies fall short of human rights standards, they leave communities unprotected against governments’ abuses against the most marginalized and poorest communities in carrying out bank projects or retaliation against project critics. Requiring countries to respect human rights would ensure that, at a minimum, bank projects do not harm the same communities that the bank claims are their beneficiaries. Embracing human rights also has implications beyond the bank. It could set the bar for other development banks and help build borrowing countries’ capacity and support for human rights. On the other hand, there is the risk that the bank’s dilution of human rights standards can weaken existing rights. As the case of the Ethiopian cash-for-work program illustrates, discrimination on the basis of political opinion – or a person’s language – violates human rights but apparently not bank policy. It is a grim sign that the definition of discrimination in the United Nations’ proposed Sustainable Development Goals does not explicitly include discrimination against people for their political opinions or language. The World Bank should do three things to make good on its promise of clearer, stronger safeguards. First, its operational policies should make clear that it will not finance projects that contravene borrower’s human rights obligations. Second, it should revise its requirements, including on non-discrimination, to comply with human rights. And, third, it should obligate borrowers not to retaliate against project critics. Sarah Saadoun is the Leonard H. Sandler fellow at Human Rights Watch. The western media and its sponsors have gone to great lengths to present Ethiopia as a democratic nation whose economy is growing by “double digits”. The suffering Ethiopian people know better but have been muffled and prevented from expressing their aspirations and dreams by a minority mercenary regime. Over the last decade, Ethiopia has been hailed as the “fastest growing non-oil economies” in Africa, maintaining a double-digit annual economic growth rate. Ethiopia’s Gross Domestic Product may have grown (court is still out on that) but according to Simon Kuznets, “the welfare of a nation can scarcely be inferred from a measure of national income.” The measure was never intended as much more than a useful accounting device. Posted by OromianEconomist in Africa, African Poor, Amnesty International's Report: Because I Am Oromo, Ethiopia's Colonizing Structure and the Development Problems of People of Oromia, Free development vs authoritarian model, Poverty, Schools in Oromia, The State of Food Insecurity in Ethiopia. In TPLF /Tigray dominated minority tyrannic regime of Orwellian social and development policy, all nations and nationalities in theory are equal in Ethiopia, but in reality Tigray is more equal than others. This is not a development process. 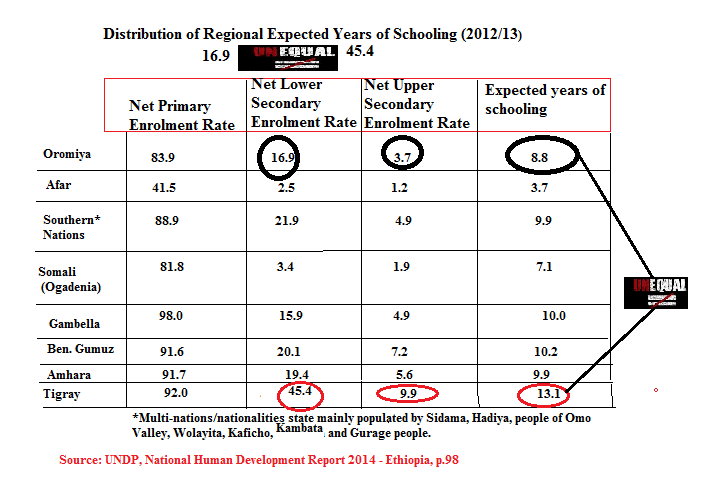 According to UNDP report, while more than 45% of children in Tigray have achieved Net Lower Secondary Enrollment, the statistics for Oromia is only 16.9%, very huge inequality variations. The report indicated that while Human development Index (HDI) of Tigray is the highest (above national average), states such as Oromia, Afar, Ogaden and Amhara have the lowest HDIs, below the national HDI of 0.461. These are the outcomes of Tigray only, exclusionist, social, economic and development policies of the ruling regime. 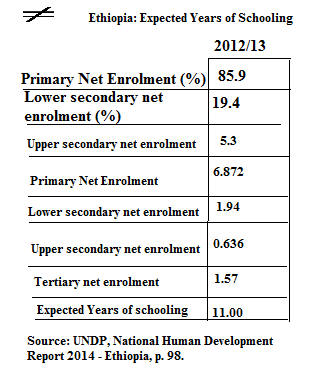 UNDP is not exposing the Tigray only growth and development strategy but we can read from its data and graphs. As the TPLF has been engaged (https://oromiaeconomist.wordpress.com/2014/10/30/amnesty-internationals-report-because-i-am-oromo-a-sweeping-repression-in-oromia/) in destabilizing, robbing and massive evictions of people from their ancestral home and land grabs in Oromia, by all sorts of engagement, resource and soil transfers, it has conducting massive subsidized development in its Tigray home. In other studies, BBC Magazine in its 20th April 2015 publication under the title ‘ Turning Ethiopia’s desert green,’reports: ” A generation ago Ethiopia’s Tigray province was stricken by a famine that shocked the world. Today, as Chris Haslam reports, local people are using ancient techniques to turn part of the desert green. In the pink-streaked twilight, a river of humanity is flowing across Tigray’s dusty Hawzien plain. This cracked and desiccated landscape, in Ethiopia’s far north, occupies a dark corner of the global collective memory. Thirty years ago, not far from here, the BBC’s Michael Buerk first alerted us to a biblical famine he described as “the closest thing to hell on earth”. Then Bob Geldof wrote Do They Know It’s Christmas? – a curious question to ask of perhaps the world’s most devoutly Christian people – and thereafter the name Tigray became synonymous with refugees, Western aid and misery. The Tigrayan people were depicted as exemplars of passive suffering, dependent on the goodwill of the rest of the planet just to get through the day without dying. But here, outside the village of Abr’ha Weatsbaha, I’m seeing a different version. From all directions, streams of people are trickling into that human river.” http://www.bbc.co.uk/news/magazine-32348749. 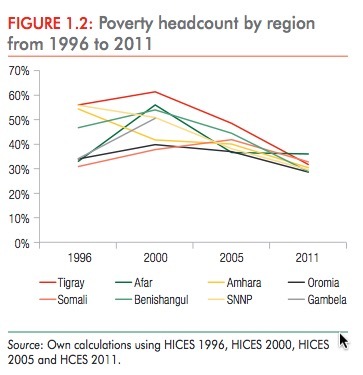 The World Bank has just published an authoritative study of poverty reduction in Ethiopia. The fall in overall poverty has been dramatic and is to be greatly welcomed. But who has really benefited? In 2000 Ethiopia had one of the highest poverty rates in the world, with 56% of the population living on less than US$1.25 PPP a day. Ethiopian households experienced a decade of remarkable progress in wellbeing since then and by the start of this decade less than 30% of the population was counted as poor. There are of course many ways of answering the question – “who benefited” – were they men or women, urban or rural people. All these approaches are valid. But in Ethiopia, where Ethic Federalism has been the primary driver of government policy one cannot ignore the ethnic dimension. The answer is clear: it is the people of Tigray, whose party, the TPLF led the fight against the Mengistu regime and took power in 1991, who benefited most. What is also striking is that the Oromo (who are the largest ethnic group) hardly benefited at all. In its 2014 National Human Development Report, which has been written on the theme of “Accelerating Inclusive Growth for Sustainable Human Development in Ethiopia,” UNDP indicates that 25 million Ethiopians currently remain trapped in poverty and vulnerability. This and many Ethiopians just above the poverty line are vulnerable to shocks and food insecurity. Maternal health care has lagged well behind other health statistics and the availability of effective health care is inconsistent across the country. UNDP’s educational indicators suggest ongoing problems with the quality of education, as shown by retention rates and educational performance markers. UNDP says, perhaps most worrying from the standpoint of inclusive growth are the high rates of un- and underemployment in both urban and rural areas, especially as large numbers of productive jobs for the poor and near-poor are needed under current and projected labour market trends. Economic growth over the past decade has generally meant an increase in productivity and output levels in some parts of the economy, but these have been accompanied by increasing severity of poverty. The absolute number of the poor is roughly the same as 15 years ago and a significant proportion of the population hovers just above the poverty line and is vulnerable to shocks. Moreover, the severity of poverty 2 increased from 2.7 per cent in 1999/2000 to 3.1 per cent in 2010/11 (MoFED, 2013b). The prevalence of vulnerabilities and food insecurity are on the rise. 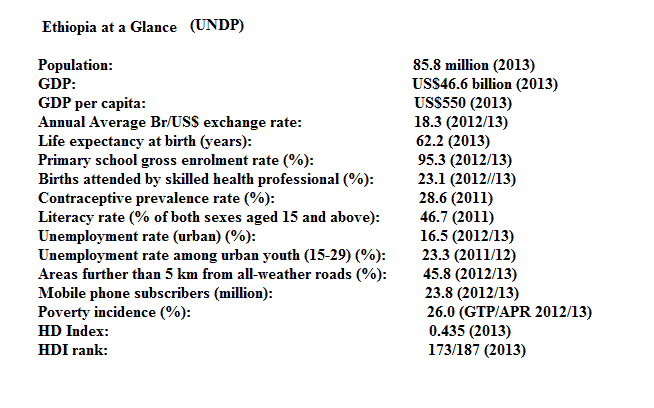 According to UNDP report, during the last three years (2010/11-2012/13), inflation was in double digits. The inflation rate, which was 18 per cent in 2010/11, increased to 33.7 per cent in 2011/12, declined to 13.5 per cent in 2012/13 and fell further to 8.1 per cent in December 2013. Other studies demonstrate that inflation figures have always been in double digits including 2013 and 2014 and at present. Further, UNDP says with a Human Development Index (HDI) of 0.435 in 2013, the country is still classified as a “low human development” country, based on UNDP’s Human Development Index. Even though Ethiopia is one of the 10 countries globally that has attained the largest absolute gains in its HDI over the last several years, in the most recent Human Development Report (2014) Ethiopia ranks 173rd out of 187 countries. Thus, its Human Development Index (HDI) has not moved appreciably during the past decade, when compared with other developing countries that have registered similar growth rates. Looking at the HDI values of Seychelles, Tunisia and Algeria, which are in the high HDI bracket, and the other 12 African countries, which are in the medium HDI bracket, the major reasons why Ethiopia is still in the low HDI bracket are low education performance (particularly low mean years of schooling) and low GNI per capita. The minimum mean years of schooling and GNI per capita for medium HDI countries were 3.5 years and US$3,000, respectively in contrast to Ethiopia’s mean years of schooling of 2.6 years and GNI per capita of US$1,300. The inequality-adjusted Human Development index (IHDI), which is basically the HDI discounted for inequalities, is also computed for Ethiopia. 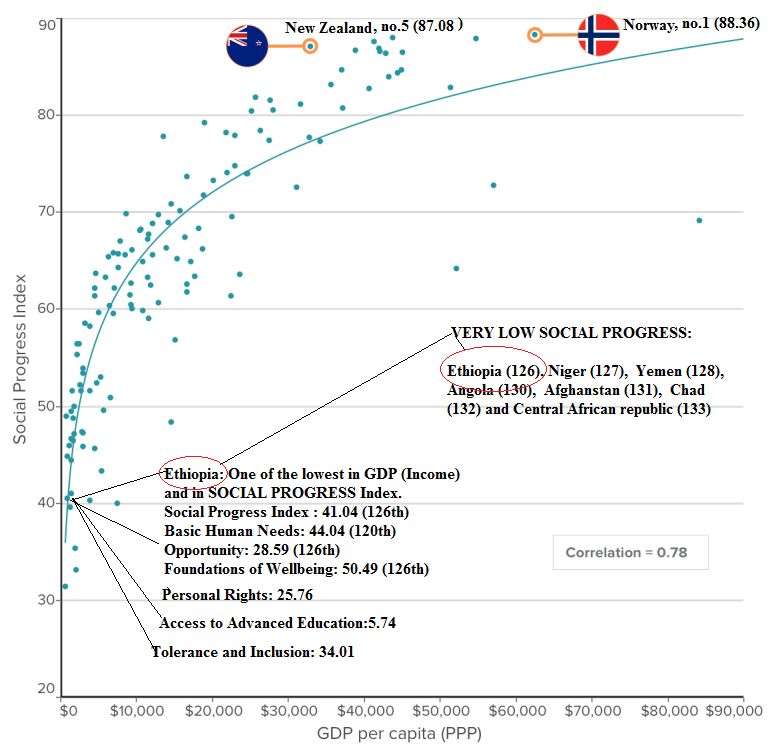 Between 2005 and 2013, the IHDI increased from 0.349 to 0.459 indicating an average human development loss of 0.5 per cent per annum due to inequalities in health, access to education and income. 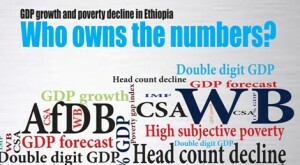 According to (UNDP 2014), Ethiopia’s IHDI for 2013 was 0.307 in contrast to HDI of 0.435 indicating an overall human development loss of 29.4 per cent. With regard to regional disparities in HDI values, while Tigray is significantly above national average, the four states of Afar, Somali, Amhara and Oromia have the lowest HDIs, below the national HDI of 0.461. The outcome of the development strategy of Tigray only when mathematically averaged to the whole regions cannot hide TPLF’s Apartheid policy on Oromia and the rest as it is only the development focus for 5% of the 94 million population. Thus, Tigray is rich but Ethiopia is poor. Ethiopia is rich and fast growing only for development tourists those who lodge in Finfinne and tour to Tigray to take a sample and conclude the result for the whole states. Another social indicator which demonstrates that Tigray is more equal than others is health services. UNDP’s report confirms that there are wide inequalities in the immunization status of children in Ethiopia. Children of educated women, rich households, and Finfinnee (Addis Ababa) and Tigray State have higher chances of being fully immunized. Children from the richest and middle income households are less likely to have no immunization at all (by 74 per cent and 57 per cent respectively) compared with those from the poorest households. Children from SNNPR, Oromiya and Amhara are 3.82, 7.00 and 3.65 times less likely to be fully immunized compared with those from Tigray, which has the second highest proportion of fully immunized children. According to UNDP, a report by Save the Children (2014) also raises concerns about equity in health services citing how immunization coverage is different among different income groups, and between urban and rural areas. According to the report, children from richest households are twice as likely to be immunized compared to those from the poorest households and children in urban areas are twice as likely to be immunized as those in rural areas. Based on revised data from the National Water Sanitation and Health Inventory, national potable water supply coverage increased from 58 per cent to 68.4 per cent between 2009/10 and 2012/13, reflecting an increase in both rural and urban coverage. Even though many health outcomes have improved significantly over the last decade, Ethiopia is still lagging behind on some measures. For example, Ethiopia has still higher than expected shares of malnutrition compared with countries at the same income level. What is especially striking about Ethiopia’s health data is the exceptionally high level of maternal mortality, given Ethiopia’s income level. UNDP argues that that development can be inclusive and reduce poverty only if all people contribute to creating opportunities, share the benefits of development and participate in decision making. Posted by OromianEconomist in Africa, Aid to Africa, Amnesty International's Report: Because I Am Oromo, Free development vs authoritarian model, Groups at risk of arbitrary arrest in Oromia: Amnesty International Report. Posted by OromianEconomist in Africa, Africa and debt, Africa Rising, African Poor, Agriculture, Aid to Africa, Corruption, Corruption in Africa, Development. Ethiopia, Ghana, Tanzania, Burkina Faso, Côte d’Ivoire, Mozambique, Nigeria, Benin, Malawi and Senegal are all involved in the New Alliance. In a January 2015 piece in The Guardian, Dearden continued by saying that development was once regarded as a process of breaking with colonial exploitation and transferring power over resources from the ‘first’ to the ‘third world’, involving a revolutionary struggle over the world’s resources. However, the current paradigm is based on the assumption that developing countries need to adopt neo-liberal policies and that public money in the guise of aid should facilitate this. The notion of ‘development’ has become hijacked by rich corporations and the concept of poverty depoliticised and separated from structurally embedded power relations. Some £600 million in UK aid money courtesy of the taxpayer is helping big business increase its profits in Africa via the New Alliance for Food Security and Nutrition. In return for receiving aid money and corporate investment, African countries have to change their laws, making it easier for corporations to acquire farmland, control seed supplies and export produce. Posted by OromianEconomist in Africa, Africa Rising, African Poor, Aid to Africa. 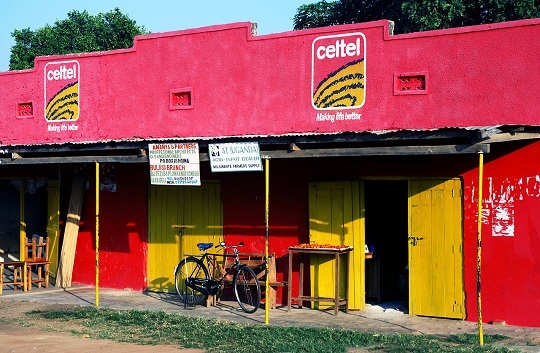 Here are two different perceptions of the development aid business that is targeting developing countries. One is from Forbes.com; while the other is from Euro-correspondent.com. interestingly, both of these opposing understandings are admitting the controversy of excessive profits made by those rich funding agencies and their middlemen who are paid to invest on their governments’ behalf. Looking at these contrasting perceptions, they both confirm that it is totally unacceptable to create hundreds of billions of dollars for European agencies and European citizens in just few years out of the poverty of Africa, Asia and Latin America under the covers of development aid and business. Such practices shed lights on the undisclosed objectives of development aid and business. Posted by OromianEconomist in Africa, Africa and debt, Aid to Africa, Corruption in Africa, Illicit financial outflows from Ethiopia, UK Aid Should Respect Rights. Companies allegedly linked to African criminals, fraudsters and money launderers have been given tens of millions of pounds of taxpayers’ money, a report has found, as the full scale of the UK’s foreign aid folly emerged. A further £27m was left in a bank account which had an interest rate of 0.016 per cent a year, according to the Public Accounts Committee. The Private Infrastructure Development Group, an aid group set up by the Department for International Development which invests in projects in developing countries, also spent thousands of pounds on business class flights. The report will raise further questions about the Government’s overseas aid budget, which has grown in recent years as ministers try to meet a commitment in the Coalition agreement to spend 0.7 per cent of the GDP on developing countries from 2013. The UK government will have given PIDG £700million over the three years leading up to this March, meaning Britain has given around 70 per cent of the group’s income since it was set up. However the report by the influential committee of MPs criticised the department’s management of the agency, saying DFID’s oversight of the group has been “unacceptably poor”. In one case, PIDG’s Emerging Africa Infrastructure Fund invested almost £20million in a project designed to support the gas processing and distribution activities of Seven Energy, a Nigerian energy company. “Seven Energy was named by the former Governor of the Central Bank of Nigeria in a 2014 investigation he conducted into the allegations of looting of Nigerian oil revenues,” noted the MPs. PIDG’s Emerging Africa Infrastructure Fund also put almost £19 million into a power plant in the Ivory Coast, where a fellow investor was allegedly a notorious fraudster called James Ibori. Ibori was jailed in 2012 for 13 years after admitting fraud of nearly £50million. The judge in his case said that the £50million figure could be “ludicrously low”, and that the amount pocketed by the former governor of Nigeria’s Delta state was “unquantified”. Margaret Hodge, the chair of the Committee of Public Accounts, said that DFID’s oversight of the group had left it open to questions about the integrity of PIDG’s investments and some of the companies it partnered. “Concerns were raised with us about the complex corporate structures that PIDG’s partners have sometimes established, making it difficult to be certain about the ownership of companies and creating a risk that those involved may have criminal connections,” she said. PIDG operates around the world, in countries including Ivory Coast, the Democratic of Congo and Sierra Leone. Mrs Hodge said MPs accepted that these countries could be “challenging”, but that PIDG needed “much tougher scrutiny” from the department, which is headed by Justine Greening. PIDG also left an average of £27million in a bank account for almost two years – earning interest of 0.016 per cent a year. The MPS said that the loss was likely to have been between £200,000 and £2million and said that the bank in question, SG Hambros, was likely to have made a financial return from the “idle” funds. “We questioned how it had been possible for the Department, PIDG, and [SG Hambros] not to have been aware of this matter for 18 months,” stated the report. DFID has been ordered to write to SG Hambros and demand a donation to charity working against Ebola in west Africa in return for the lost interest. The foreign-aid quango also continued to allow staff to book fully flexible business class flights for two years after DFID ordered the group to “tighten up” its travel policy. The National Audit Office found that between January 2011 and July 2014, PIDG employees booked 15 flights which cost more than £5,000 each, at a total cost in excess of £75,000. “It is essential for public confidence in spending on overseas aid that the Department for International Development is able to demonstrate that UK taxpayers’ money is being used for its intended purpose – of helping the world’s poorest people – and not ending up in the wrong hands,” said Mrs Hodge. Mary Creagh MP, Labour’s Shadow Development Secretary, attacked the government’s management of the agency. “David Cameron promised value for money on aid but this report shows he has failed to deliver. The NAO and now the Public Accounts Committee have exposed that the Tory-led Government has been pouring hundreds of millions of pounds of taxpayers’ money into projects without checking where it went,” said Ms Creagh. A DFID spokesman denied that PIDG had links to known criminals. He said: “Britain’s investment in the Private Infrastructure Development Group (PIDG) has helped to create 200,000 jobs and driven £6.8billion of private investment into some of the world’s poorest countries, developing their economies and making them less dependent on aid. “This PAC report suggests that UK funds are at risk of ending up in the wrong hands, citing alleged links between a convicted fraudster and a PIDG-backed company. “These have been investigated thoroughly by the National Audit Office, as well as DFID and PIDG, and absolutely no evidence has been found to substantiate them. DFID spending has attracted criticism over the years. Last year, the Independent Commission for Aid Impact so found that some British aid money was funding corruption abroad. One development project in Nepal encouraged people to forge documents to gain grants while police stations in Nigeria linked to British aid were increasingly demanding bribes, the report discovered. It also emerged that civil servants went on a £1billion spending spree in just eight weeks to hit the 0.7 per cent spending target. Posted by OromianEconomist in Africa, Aid to Africa, Development & Change. This is a fantastic and humorous TedTalk from Italian aid worker Ernesto Sirolli. When most well-intentioned aid workers hear of a problem they think they can fix, they go to work. This, Ernesto Sirolli suggests, is naïve. In this funny and impassioned talk, he proposes that the first step is to listen to the people you’re trying to help, and tap into their own entrepreneurial spirit. His advice on what works will help any entrepreneur. All 17 minutes are worth watching, but the first 3 or so are especially recommended. Enjoy! Posted by OromianEconomist in Africa, Aid to Africa, Colonizing Structure, Development, Economics: Development Theory and Policy applications, Knowledge and the Colonizing Structure. Africa Heritage. The Genocide Against Oromo Nation, Land Grabs in Africa, Oromia, Oromiyaa, Oromo, Oromo Culture, Oromo Identity, Oromo Nation, Oromo the Largest Nation of Africa. Human Rights violations and Genocide against the Oromo people in Ethiopia, Oromummaa, Self determination, The Colonizing Structure & The Development Problems of Oromia, Theory of Development, Uncategorized. When one thinks of the word ’agenda’ a few obvious meanings may come to mind – a list of things to do, a plan for a meeting, a goal to achieve or perhaps even an ideology. In the context of international development aid an agenda often means something altogether very different – a plan or goal that guides someone’s behaviour and is often not explicitly stated. Development aid agendas do not always reflect the needs and desires of the people they propose to serve. More often than not development agendas serve those who institute and organise them. Be it international development donors or governments who receive billions in aid subsidies, development aid and assistance is hardly ever free from condition or expectation on either the donor or receiver side.The world of international aid is a multi-trillion dollar exercise with transactions affecting every country on earth. Some give, some receive, some give and receive, but all are involved in aid flows that are ultimately held up as virtuous considerations of man to fellow man. The world has long been used to the cycles of dependency and desperation that these aid flows illustrate. Ethiopia, for example, with its frequent food insecurity issues and prominence as a major receiver of international aid is perhaps the most perfect example of aid desperation and dependency. In 2011 alone Ethiopia received $3.6 billion in Overseas Development Aid (ODA) . 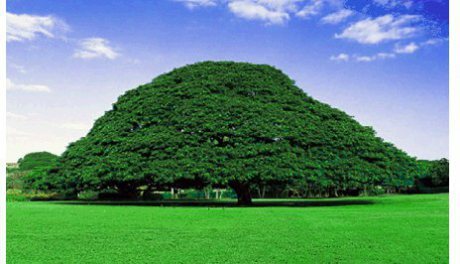 This enormous figure represents over half of the Ethiopian regime’s annual revenue. 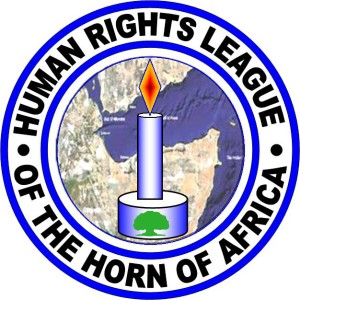 With the international community’s growing concerns for security and economic interests in the Horn of Africa it is not difficult to imagine how this ODA necessitates a certain amount of condition or expectation for the Ethiopian regime. It is, after all, somewhat unrealistic to expect international donors to hand over vast amounts of money to a regime that neither fits the neat description of sympathetic governance nor reflects the tenets of democracy.Why Western governments and donor agencies would supply a country such as Ethiopia, with its record of human rights abuses, with enough money to continue functioning – business as usual? Evidently agendas are not uniform, but instead are situation and country specific. Everybody has an agenda but what matters is the power-outcome dynamic that governs the particular agenda.With regards to ODA in Ethiopia, to even begin to understand the agendas in play one has to look at the Ethiopian regime’s most ostensible economic development raison d’être – utilising the country’s vast agricultural potential to become a middle income country by 2025. Under the so-called Agricultural Development Led Industrialisation (ADLI) programme the regime purports to elevate the vast amount of the country’s population out of grinding poverty in just over a decade. A potential feat that has everyone from the EU Commission to USAID dancing in the bleachers. Never mind that Ethiopia suffers catastrophically from a cycle of food insecurity, famine and dependency and is consistently languishes in the lower echelons of the UNDP’s Human Development Index (currently 173rd out of 187 countries and territories around the world), the World Bank approved ADLI is supposedly saving the day. When everything appears to be going to plan a blind eye is easily turned to the realities that stifle the lives of millions. It is far easier for a non-critical West to accept and fund the ostensible agenda of lifting millions out of poverty rather than the less palatable one of maintaining an unjust regime’s vice-like grip on power and control as long as its security and economic interests are upheld.The interplay between development agendas, the regime and its tightening stranglehold on Ethiopian society permeates most areas of life in Ethiopia. Higher education development is one example of how the development agenda is being used to stead fasten the regime’s hold over the country. In the last 15 years the country has gone from having 2 federal universities to 31, serving more than 90,000 new enrollments annually.While this number is still small for a country of its size (it represents only 3% of the relevant cohort as opposed to 6% in the rest of Sub-Saharan Africa) the rapid expansion of universities across the country has left many questioning the motivation behind a sudden investment (40% of the total education budget goes on higher education) in higher education development. On the one hand the regime has touted higher education as a means to serve the growing need for qualified and competent workers who can facilitate its desire to reach the status of a middle income country. A satisfying explanation for those who green light the billions that are transferred to the regime annually. On the other hand the Ethiopian higher education system is frequently admonished by critics of the regime as aiding and abetting its stranglehold on Ethiopian society by creating a new layer of loyal party elites, locking education attainment into regime membership and using the lecture hall as a podium for its own propaganda. This is one agenda that doesn’t fit well with the Western cooperation and development narrative used to justify huge transfers of funds into the regime’s coffers.Another agenda that doesn’t fit so well with development narratives, but one that is no less easy to countenance, is that of the international agri-biotech industry and its influence on development aid. The nexus between the huge financial interests of companies such as Monsanto and development aid has seen greater emphasis on agri-biotech solutions for Ethiopia’s chronic food insecurity issues being placed on agriculture development initiatives in recent years. The Bill and Melinda Gates Foundation, for example, provides millions towards ‘improving’ Ethiopia’s agricultural industry, most notably through its cooperation with the Alliance for a Green Revolution in Africa (AGRA).Agra is a partnership organisation whose members include DFID, The Rockefeller Foundation, The International Development Research Centre, the Consultative Group on International Agricultural Research, the African Union’s New Partnership for Africa’s Development, the Association for European Parliamentarians for Africa and the Bill and Melinda Gates Foundation. It receives funding from governments and organisations around the world, including USAID, DFID, SIDA, and DANIDA to name a few.AGRA aims ‘to achieve a food secure and prosperous Africa through the promotion of rapid, sustainable agricultural growth based on smallholder farmer’. While such an agenda is commendable the organisation’s connection with Monsanto, a company that has a long history of locking farmers into commercial relations which require them to buy their patented seeds and use their chemicals in order to grow their crops, is less commendable. In 2010 the Gates Foundation purchased $23 million worth of shares in Monsanto. The Gates foundation, in what many would suspect as a cynical public relations exercise to try to separate itself from the murky reputation of Monsanto, has tried to distance itself by saying that its philanthropic and business arms don’t influence each other. One has to wonder though as to what extent this unholy alliance does not influence each other’s agendas and how much of this is about profit making rather than philanthropy.Taking into account the prominence of the agri-biotech industry in global agriculture and its closeness to policy makers (as evidenced in confidential cables leaked by Wikileakswhich showed that the United States was vehemently against the Ethiopian Biosaftey Proclamation and lobbied to scrap it) it is clear that the connection between the agri-biotech industry and development goes further than a non-influential relationship. Increasingly higher education is the vehicle used to facilitate this relationship. Western agri-biotechs and ODA agencies are heavily involved in funding academic endeavours at Ethiopian universities which aim to improve food security and achieve the ADLI agenda of middle income status. On the more benevolent side ODA agencies such as SIDA and Irish Aid fund sustainable bio-resource programmes at various Ethiopian universities (SIDA funds the Bio-resources Innovations Network for Eastern Africa Development programmewhich is partnered with Addis Ababa University and Hawassa University and Irish Aid Funds the Potato Centre of Excellence partnered with Arba Minch University). On the other side organisations such as AGRA, with its connection to Monsanto through one of its main funders is heavily involved with agricultural projects at Haramaya University and the Ethiopian Institute for Agricultural Research. Considering what is available openly on these organisations websites it doesn’t take your inner conspiracy theorist to connect the massive agri-biotech industry’s agenda to Ethiopia’s ADLI programme.The development narrative may not sit so easily with the commercial agendas of big business but it is there for anyone to see. Governments and development agencies may be reluctant to admit the full extent of their development agendas for fear that their commercial and security interests may be compromised. Should this even matter when at the end of the day ordinary peoples’ lives are improving? Morality aside, it probably shouldn’t if indeed this is so. In Ethiopia’s case the evidence for this improvement is marginal. It is true that fewer people are dying from preventable famine, just as it is true that Ethiopia has the dubious honour of having the fastest growing rate of dollar millionaires per capita in Africa. Copyright © OromianEconomist 2013 & Oromia Quarterly 1997-2013, all rights are reserved. Disclaimer.